57 The Headline has existed in its current form for a few years now, and it gave the former venue at that address, the Headline Bar, a much needed makeover. Now they’ve upped their game again, and above the friendly neighbourhood gastropub I’ve come to know and love, lies No. 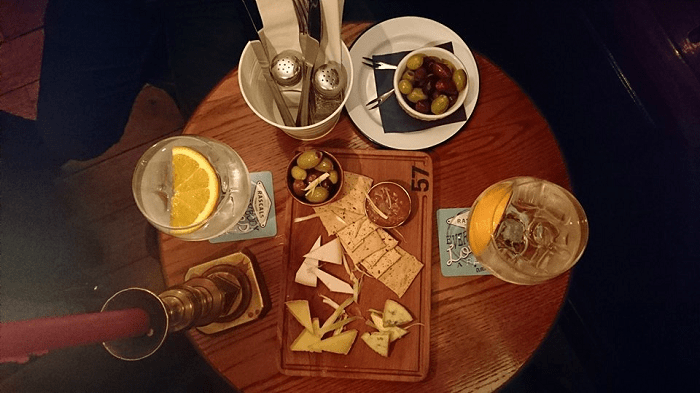 57 Gin Bar, a place that anyone with a sympathy for gin should visit. While the downstairs pub opens daily, No. 57 Gin Bar does so only on Fridays and Saturdays. 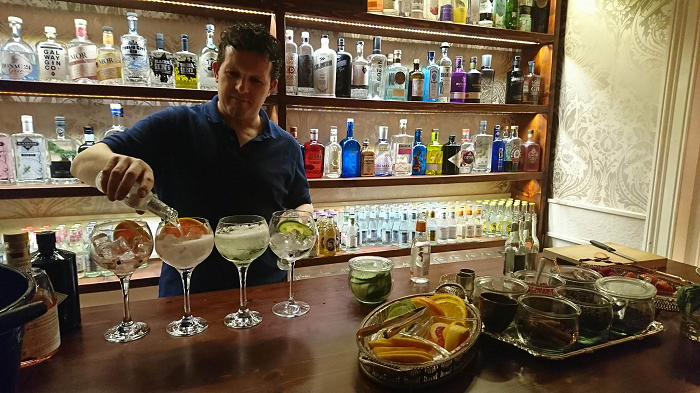 The rest of the week it can be booked for private events and if you have a mid-week gin craving, you’ll be able to enjoy their over 100 gins on the ground floor. While both places share menus (both food and drink) the atmosphere is quite different. 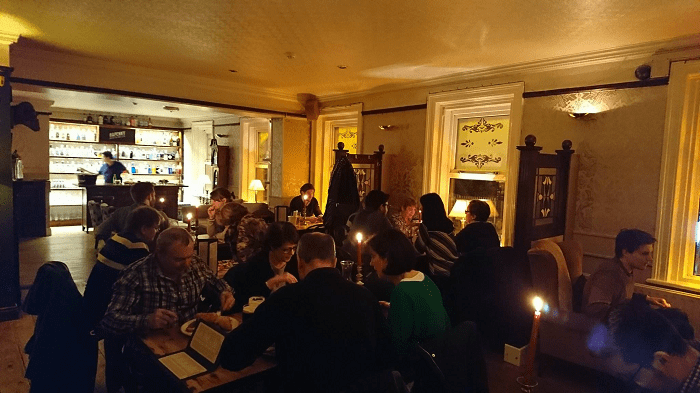 Dim lights and candles illuminating each table, mellow music, comfy sofas and and a more intimate vibe distinguish No. 57 Gin Bar from its more lively sibling below. The decor is elegant, with a vintage cosyness that feels very inviting. 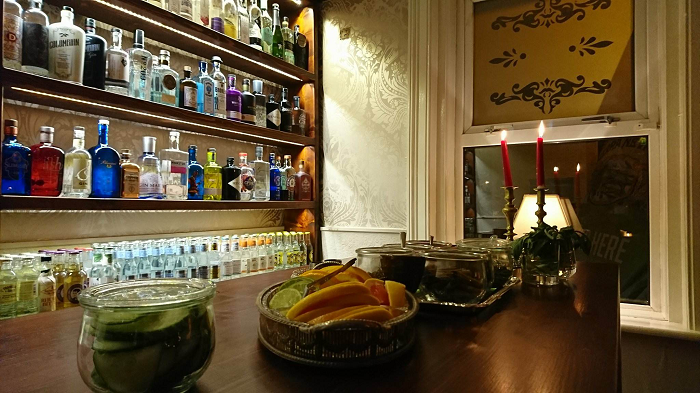 The venue’s centrepiece is a Gin & Tonic station visible from most tables where you can admire a wall covered by shelves stocked with various bottles of gin. 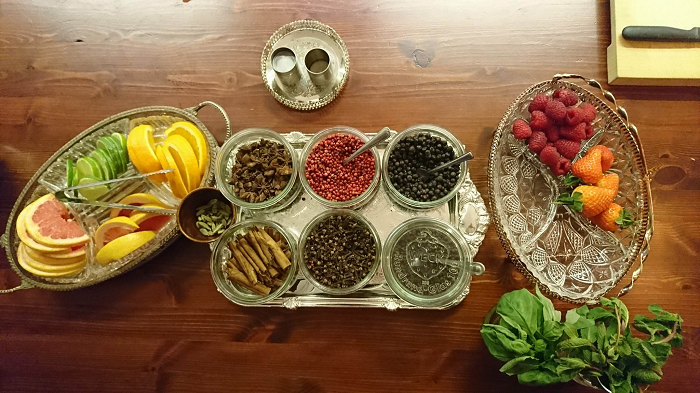 In front of it, a colourful assortment of garnishes rests on a table where bartenders will craft the G&T your heart desires. The staff is warm and laid back, but their knowledge of the gins is on point. They go the extra mile to source every single gin made in Ireland as well as a good few international must-haves. They even have their own gin, No. 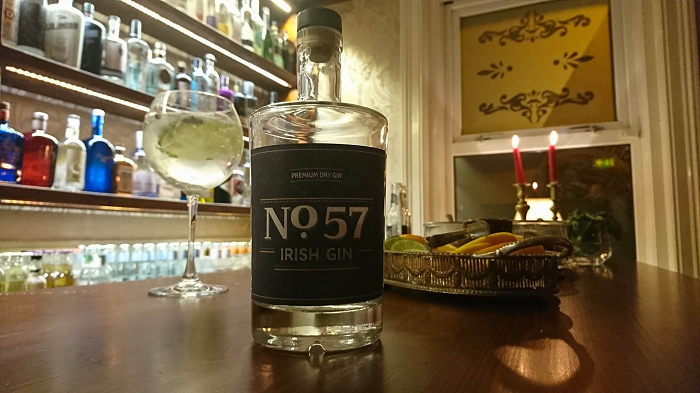 57 Irish Gin, smooth and with a ginger edge, which you can enjoy there or buy at the Celtic Whiskey Shop and they also have their own infusions and experiments so you can be as adventurous as you wish. I asked our waiter his suggestions for a pink Gin & Tonic, and was pleasantly surprised by the recommendation of Beara Pink Ocean Gin (€9), an intensely aromatic and lightly blushed spirit infused with salt water from the Beara Peninsula. While I was tempted to pair it with an equally exotic tonic, he advised a simpler one, Poachers Well, also Irish, and with a mild profile that would allow the gin to enjoy the spotlight. One thing worth noting from their extensive gin menu is that all of the gin’s prices include tonic water. Prices start at €8.50 (with the house spirit, No. 57 Irish Gin) and for most of the comprehensive list, rarely go above €10. Just to have a small nibble while sipping, we ordered a portion of olives (€3.50) and a small cheese board (€10). The all-Irish selection included Killeen Goats Cheese, Mount Leinster Cheddar, Cais Na Tire Sheeps Cheese and Wicklow Blue. Crackers, a bit of chutney and more olives completed the board which we both agreed was very good value. No. 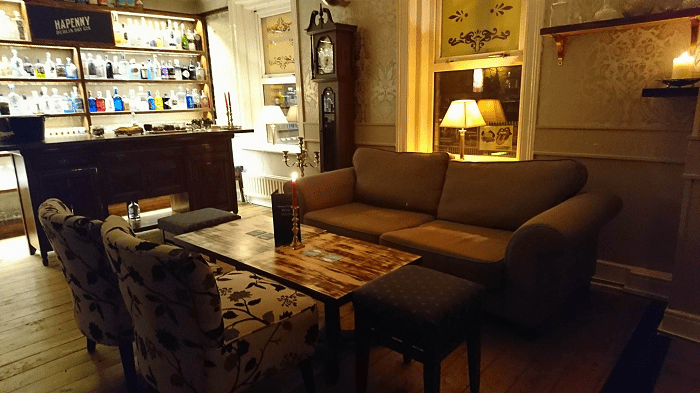 57 Gin Bar is part of what makes Clanbrassil Street exciting. Hidden in plain sight, if you blink you’ll miss it, but don’t let its low-key nature prevent you from finding it. 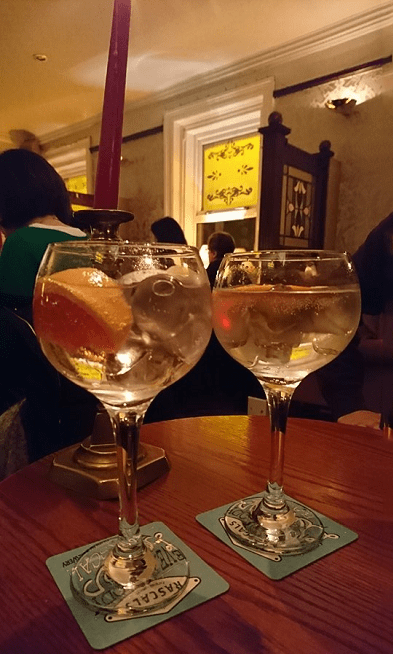 If you’re looking for a place were you can relax and enjoy a fine Gin & Tonic made by someone who knows and enjoys what they’re doing and that won’t break the bank, then add it to your weekend plans ASAP.